KDT8940 Features: -Latest innovation utilizing gear force technology brings a new standard in ratcheting drive tools.-Fine tooth ratcheting mechanism for proven strength and fine ratcheting arc.-Interchangeable shafts allow access to nearly any fastener.-Contoured handles feature a dual udometer grip for exceptional comfort and high torque.-1 Standard gear driver handle.-1 Stubby gear driver handle.-1 Gear driver t-handle.-2 Magnetic bit driver shafts 3-1/2-Inch and 6-Inch.-2 Socket driver shafts 3-1/2-Inch and 6-Inch.-1 180 degree 11-Inch cable drive flexible socket driver shaft 1/4-Inch drive.-1 180 degree 10-Inch flexible bit driver shaft.-1 Shaft adapter for connecting two gear driver shafts together.-40 Piece Gear Driver Master Set. Specifications: -30 Drive Bits. 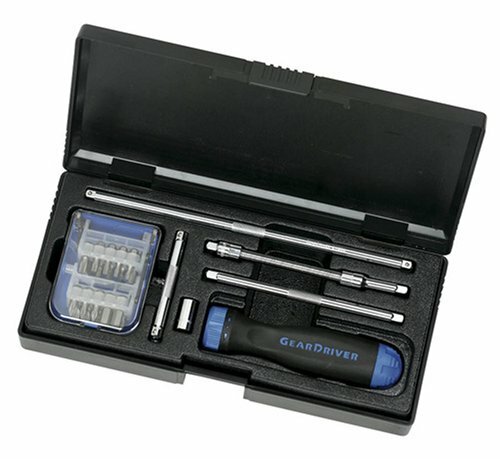 Warranty: -Sets and Kits do not have warranty/ see individual pcs for details..
Fine tooth ratcheting mechanism for proven strength and fine ratcheting arc Has interchangeable shafts for better access Exceptional comfort with the dual duo-meter grip Includes: 1- Stubby gear driver handle, 1-180 degree 11-Inch cable drive flexible bit shaft, 10 - Drive bits, 3 - Magnetic bit driver shafts 3 1/2-Inch, 6-Inch and 10-Inch Packaged in a injected molded caseThis 15 piece set, is the latest innovation, utilizing gear force technology. 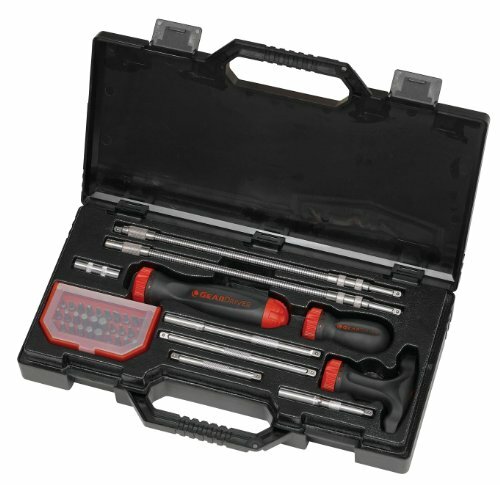 Which brings a new standard in ratcheting drive tools. 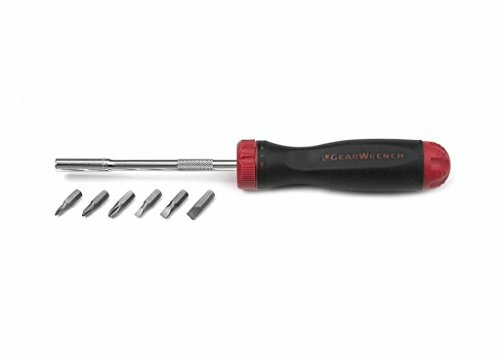 The interchangeable shafts allow access to nearly any fastener and with the contoured handle features a dual duo-meter grip, for exceptional comfort and high torque. 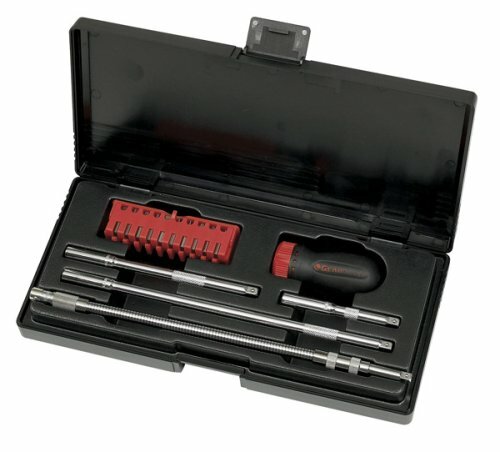 This quality set comes packaged in an injection molded case. .
26 pc. Gear Driver Set. Fine tooth reversible ratcheting mechanism for ease of use. 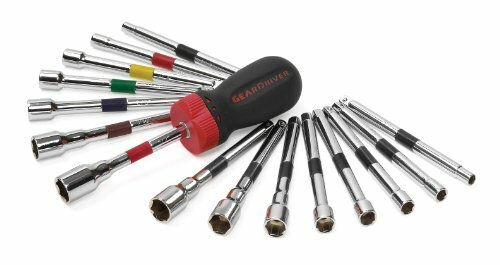 Gear Driver uses a variety of interchangeable shafts for limited fastener access. Dual udometer ergonomic shape handles help reduce fatigue and improve grip. Blow molded case. KDT8909 Features: -Latest innovation utilizing Gear Force technology brings a new standard in ratcheting drive tools.-Fine tooth ratcheting mechanism for proven strength and fine ratcheting arc.-Interchangeable shafts covering a variety of metric applications.-Contoured handle features a dual udometer grip for exceptional comfort and high torque.-1 - Stubby gear driver handle.-8 - Interchangeable metric nut driver shafts - 5, 6, 7, 8, 9, 10, 11, and 12mm.-9 Piece Gear Driver Metric Nut Driver Set. Warranty: -Sets and Kits do not have warranty/ see individual pcs for details..
KDT8908 Features: -Latest innovation utilizing Gear Force Technology brings a new standard in ratcheting drive tools.-Fine tooth ratcheting mechanism for proven strength and fine ratcheting arc.-Contoured handle features a dual udometer grip for exceptional comfort and high torque.-1 - Stubby gear driver handle.-7 - Interchangeable fractional nut driver shafts 3/16-Inch, 1/4-Inch, 5/16-Inch, 11/32-Inch, 3/8-Inch, 7/16-Inch, 1/2-Inch.-8 Piece Gear Driver Fractional Nut Driver Set. Color/Finish: -Interchangeable color-coded shafts covering a variety of fractional applications. Warranty: -Sets and Kits do not have warranty/ see individual pcs for details.. 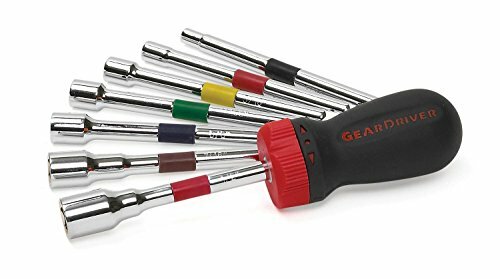 Looking for more Geardriver Ratcheting Screwdriver similar ideas? Try to explore these searches: Prince Button Sash, Black Butterfly Silver Link Watch, and Gray Slate Tile. 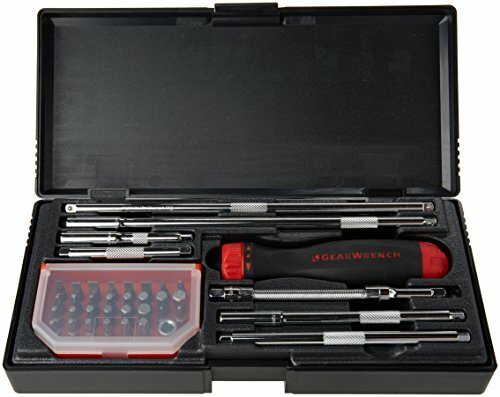 Shopwion.com is the smartest way for comparison shopping: compare prices from most trusted leading online stores for best Geardriver Ratcheting Screwdriver, Kohler Cast Iron, Ranger Station, Screwdriver Geardriver Ratcheting . 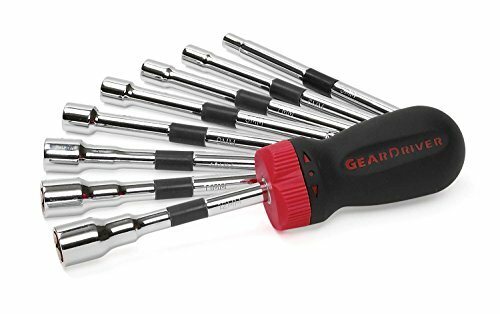 Don't miss this Geardriver Ratcheting Screwdriver today, April 19, 2019 deals, updated daily.